Chess Game over Crimea » Ambassador Fabian’s blog, KP Fabian, Analyst - international political developments, global issues, Indian national issues. Russia has won the chess game. President Putin played well. The other side consisting of the fledgling government in Kiev, President Obama, and the European Union could have played a better game. There was a significant failure on the part of Obama, his advisers such as Ambassador Samantha Power, the European Union, and the rest of the West in understanding the ground realities and grasping the big picture. For example, Obama and even German Chancellor Angela Merkel, seem to have believed that Russia was not serious about annexing Crimea and that by threatening dire consequences Putin could be made to change his course. Part of the reason for West’s failure lies in their habit of ignoring history. The Russian Black Sea Fleet at Sevastopol was established by Prince Potemkin in 1783. This is the only warm water base that Russia has. The 1997 treaty between Russia and Ukraine divided the fleet between them, 81.7% for Russia and 18.3% for Ukraine; Russia was given the right to use the port of Sevastopol for 20 years. In 2009, Ukraine sent out signals that the treaty would not be extended when it expires in 2017. Finally, an agreement was made in 2010 to extend the treaty by 25 years in 2017 with a provision for an additional 5 years taking it to 2047. After the collapse of the Soviet Union, the West started to draw into NATO and EU the neighbours of Russia. For Russia, its security is threatened if there is no buffer between it and the West. That was the reason for the neutralization of Finland after World War 2. When Germany was united in 1990 there was an agreement among the four former occupying powers (US, USSR/RUSSIA, UK and France) that foreign troops (meaning NATO) would not be stationed in the former East Germany. This provision was later violated by NATO. When the Soviet Union collapsed, the US had the option to work with Russia to put an end to the mindless arms race. Instead, the US chose to extract concessions from a weak Russia and to surround it by expanding NATO eastward. Similarly, when the EU also expanded eastward, Russia felt threatened. When Ukraine was about to sign an agreement with EU, Russia intervened, offered a loan of $15 billion to dissuade Kiev from going ahead with the agreement. President Yanukovych decided not to sign the agreement to which there was much opposition from eastern Ukraine, his political base. Encouraged by the EU and US, those Ukrainians who wanted to get closer to former started an agitation and about 80 were killed. There are reports that the pro-EU agitators were responsible for the killing in part at least. The EU sent a group of foreign ministers (France, Germany and Poland) to Kiev and an agreement was signed on February 21 for forming a new government, changing the constitution to reduce the powers of the president, and to advance the presidential election. There was an expectation that the crisis was resolved. The day after the signing of the agreement President Yanukovych disappeared. To materialize, days later in Russia, the Parliament sacked the President and an interim government was put in place. The action by the Parliament was illegal and Putin is right in not recognizing the new government in Kiev. The procedure (article 111) for impeachment of the President was not followed. The first major error made by the West was in encouraging the pro-EU Ukrainians to walk out of the February 21 agreement to which Russia too was a party. Putin came to the conclusion that the West had a plan to take Ukraine into EU and later to NATO, affecting Russia’s security and its hold on Sevastopol. We do not know why the February 21 agreement was sabotaged and who did it. There is some evidence suggesting that the US was behind the sabotage and that the EU was for implementing the agreement. It will be recalled that the US had to apologize to EU after a You Tube brought out that the US Assistant Secretary of State Nuland had used expletives against EU in her conversation with her Ambassador in Kiev. In any case, Voice of America carried a statement from Department of State on February 21st itself about the fragility of the agreement adding that it would be difficult to ‘sell’ it to the people. To go back to history, Crimea was transferred to Ukraine by Khrushchev in 1954 against much opposition in Russia and Crimea. The decision was taken in a casual manner. Khrushchev had worked in the mines in Ukraine and married a Ukrainian. He rose up in the Communist Party of Ukraine to be its First Secretary, a position he held when World War 2 broke out. In short, it was an emotive decision. The occasion chosen was the 300th anniversary of the Treaty of Pereiaslavl signed in 1654 when Ukraine sought and was given the protection of Muscovy. It must be noted that 58.5% of the population in Crimea is Russian and they have had serious complaints against the treatment meted out to them by Kiev. There have been moves in the early 1990s for holding a referendum on joining Russia. It was not politically feasible for Putin to have turned a deaf ear to the Russians in Crimea. In fact, he was glad to avail of the opportunity to stop the encroachment of the West to his neighbourhood. The West should have seen the big picture and kept alive the compromise reached on February 21. There is another interesting point that needs to be noted about West’s play. When Russia sent in its armed men from across the border and dressed them up in uniforms ‘for the protection of the Russians in Crimea’, it was put out by Washington that Obama had offered ‘a face-saving formula’ to Putin by offering to send international observers to Crimea to take care of the safety of the Russians. Such a reading of the situation shows considerable ignorance. Putin was in no need of any face-saving formula. He had decided on what to do and was determined to take his plan to its logical conclusion. As the West has no means of preventing the secession of Crimea they should not have held out threats against Russia publicly making it even more difficult for Putin to change course. The ban on travel to West by listed individuals and freezing of their assets will not hurt much. We do not know how Putin might react. He ignored the sanctions and the tough warnings and went ahead with annexation as was expected. The West will be compelled by their own threats to impose serious economic sanctions. Russia might retaliate against Western companies, for example, Exxon Mobile is active in Russia and there are 6,000 German companies in Russia. When it comes to applying sanctions, Russia is so different from Iraq or Iran. The fact of the matter is that the West cannot apply sanctions that will hurt Russia without getting hurt in retaliation. Putin can retaliate by imposing sanctions on Western companies working in Russia and increasing pressure on the eastern parts of Ukraine with sizable Russian population. It is on the cards that eventually a compromise might be worked out with the West taking back the sanctions against Russia with an undertaking that it will not destabilize Ukraine by intervening in its east. Perhaps, President Obama erred in talking at length with President Putin. Principals should leave it to their assistants and come in only when there are still pending issues or when the two sides are close to an agreement. Obama should have realized that Putin could not have afforded to give the impression that he was backing down under pressure. Some of President Obama’s advisors such as Samantha Power were under wrong impression that Russia would be as passive as it was when the West dismantled Serbia to create an independent Kosovo in the 1990s. Geopolitics has changed much since then. 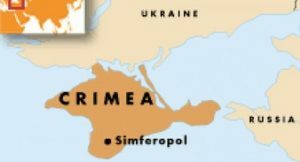 Is Crimea the beginning of a process of Russian expansion? There is a demand from a part of Moldavia to join Russia. Similar demands might come from eastern Ukraine too. Unless West plays the game better than it has done so far, Crimea will be the first with more to follow. What is required is a comprehensive dialogue between Russia and the West on the question of the expansion of EU and NATO. Is the leadership in the West able and willing for such a dialogue? We do not know.